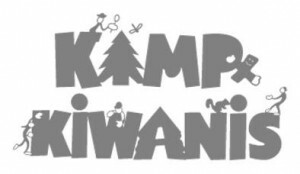 Kamp Kiwanis is aimed at providing fun, physical exercise and adventure. It strives to afford opportunities to participate in a creative outdoor group experience in a democratic setting and develop characteristics of leadership and fair play. The program at Kamp Kiwanis is designed to mainstream all children, including up to 20 each session with special needs. It is non-competitive with emphasis on group and team building. No activity is forced, but all are encouraged. Staff members come from many countries as well as some from the United States. All staff members have been trained to interact with children of all ages. Fully qualified lifeguards supervise all waterfront and swimming activities. The staff is hired only after reference checks and background checks are completed. EMT/Medical personnel are on site 24 hours a day during the camping season. The ratio of staff to Kamper is generally 1:8. All Kampers with special needs are supervised at much lower ratios, sometimes 1:1.